Make parking a breeze in your garage, driveway, or trailer with the Pro-Stop parking guide. No cheap plastic here: The Pro-Stop is made from recycled semi tires and grips like a tire to your floor. It holds its place even on the smoothest floors, including Swisstrax and other plastic flooring. 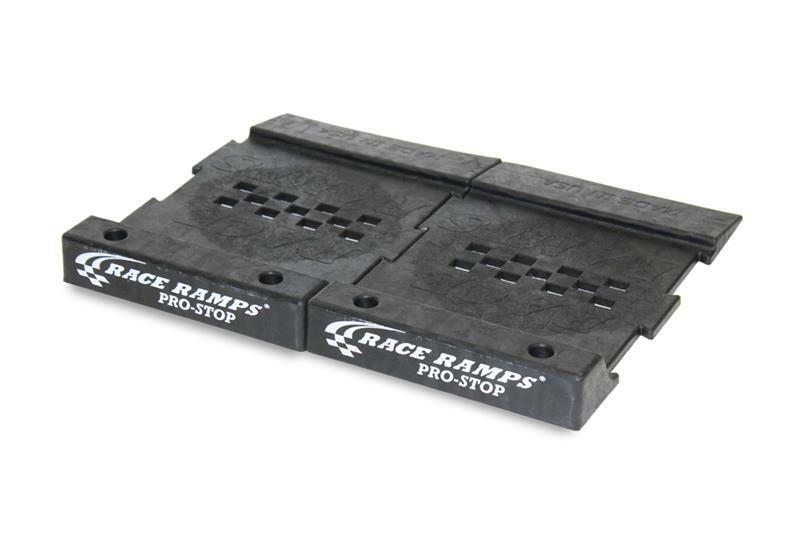 Pre-drilled holes at the front of the Pro-Stop give you the option of permanently mounting it to the floor of your garage or trailer. You can easily link two or more together to make a solid stop as wide as you’d like. Sold individually or as a set of two or set of four.